Philippe Coutinho has admitted that knocking Manchester United out of the UCL will give him ‘double personal satisfaction’. The Brazilian international secured a sensational switch to Barcelona in January 2018, after having spent five-and-a-half seasons at Premier League outfit Liverpool. During his time in England, the playmaker played a vital role in many of Reds’ important fixtures, right from the Merseyside derbies to the high-profile clashes against fellow English juggernauts Manchester United. 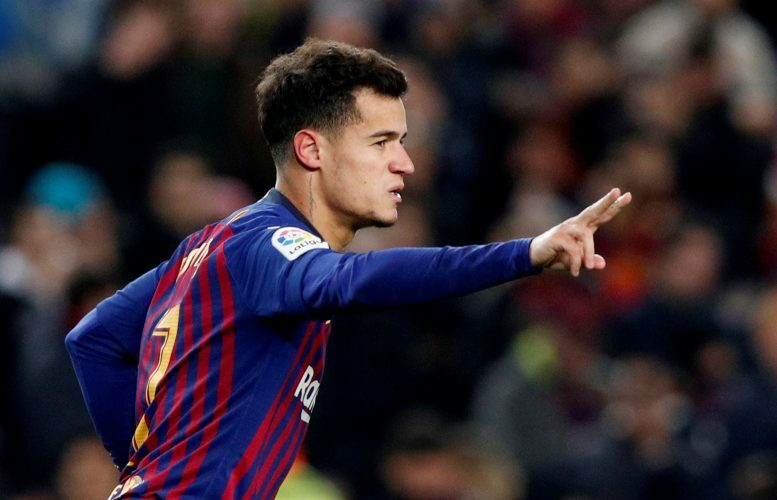 Now, Coutinho intends to make full use of the experience he has gained playing against the Red Devils, as he is set to revisit Old Trafford when Barcelona take on the Mancunians in the first leg of the Champions League quarter-finals. Speaking about the reception he is likely to receive at the Theatre of Dreams on Wednesday night, the 26-year-old stated (via talkSPORT): “If they boo myself and Luis Suarez, then that’s normal at Old Trafford because of the team we used to play for. But it won’t make any difference to me. He was quick to add: “The tie is tough. They have already shown what they can do by knocking out PSG and I think most people would say the tie is 50-50.